I might as well just say it: April was my best month yet! 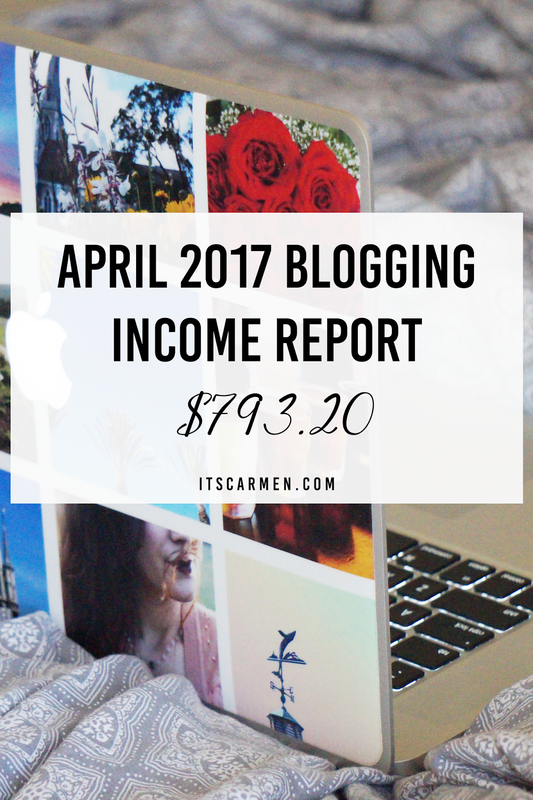 If you've been following along, I've been doing my blogging income reports since January. I've seen a steady increase each month & look forward to what May has in store. For reference, my January income total was $478.43 — I made $300+ more than that in April. Okay, let's get to it! Note: I base my income report on earnings that were deposited into my bank account during that month. I did a couple projects in April that have yet to be paid out, therefore I will take that into account for my May Income Report. This month I continued focusing on coaching. As a coach, I work with people one-on-one to better their blogs, their social media presence, & their brands. I'm thrilled to see growth in this part of my business. I'm even more excited since I have repeat clients. It's fantastic to see them reach their goals & surpass them. Learn more about my coaching! I got paid for a couple of Linqia campaigns from March. I did a post with KAABOO, a music festival held in Del Mar, California. I also wrote 5 Steps to the Perfect Date Night, which was a sponsored post for Grocery Outlet. Linqia is becoming a regular part of my monthly income. Miscellaneous Sponsored Posts were paid campaigns with brands that reached out to me directly via email versus through a blogger influencer network like Linqia. One such example is my Mother's Day post. These come in randomly, but I'm able to negotiate them more than if it were through an influencer network. You give me hope! LOL I have had an advertiser reach out to work with me but for no $. It would be for exposure though, and since my blog is only a month old, I'll take it! 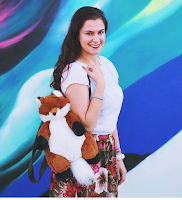 Thank you so much for sharing this :) It was really interesting to read and has given me some good ideas for the future as I'm just starting out. It was very motivating. I'm so glad I stumbled upon your blog, keep up the good work! Nice work! I'm still trying to figure out how to monetize my blog; nothing I do seems to work. Thank you for sharing this report! As someone trying to grow her blog, this is so helpful! wow! those are great numbers...I love looking at these reports so I can see what works for others. thanks for sharing! Congrats of the coaching, sounds like a great opportunity! This is amazing, congrats on this month! Great insight for a fellow blogger! That's so exciting that this is your best month. You are obviously doing an awesome job! Thanks for being so transparent! Congrats! That was a great month, you did a great job! That is so cool that you are open and real with your followers! How many followers did you have when you started getting sponsored posts? oh wow I've never seen anyone do a post like this! so honest! wow, that's an amazing effort! So happy for your success, and thanks for your honesty as well. Keep up the great work! Sounds like a great month for you, thanks for sharing this! I love seeing how other bloggers make their money! It's super helpful for a newbie like myself to see what networks other bloggers are with. Congrats on your coaching business growth! Sounds amazing! I wish I could make even half that! A good month indeed. Thanks Tuyet! There are a range of ways, but it definitely takes experimentation to see what works for you/your readers. I know how difficult it can be!